My fav of all fashion mags. 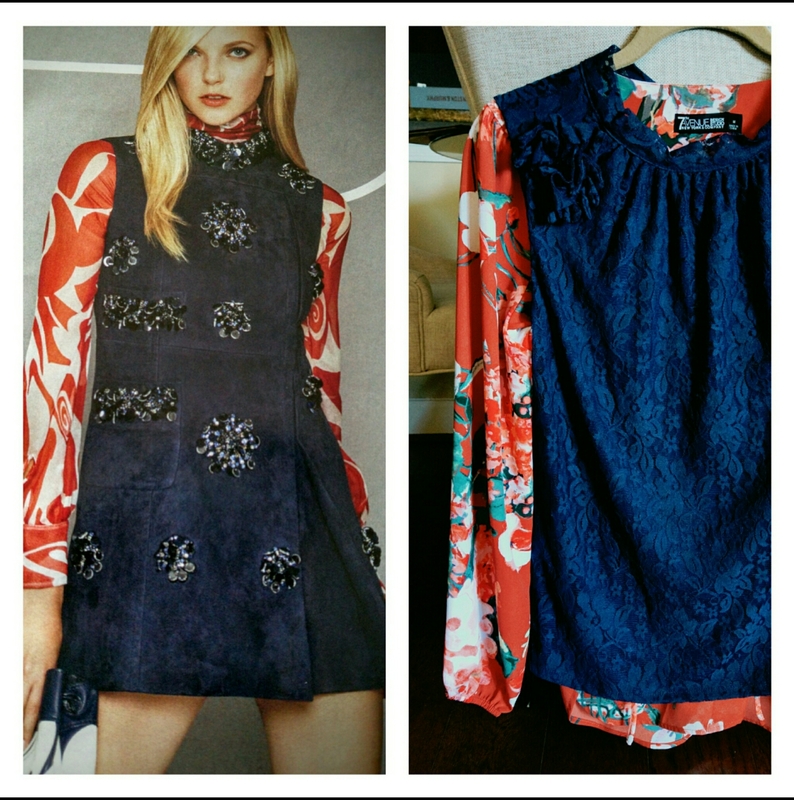 The $1,000s Vogue sheer red sleeve with navy textured combo above (L) has been bugging me for awhile. Such a clever use of texture and pattern. Today, At NY and Co, I recreated it for $38(R). Wearable art and great inspiration. Print red poet blouse with navy lace sleeveless tank. I thought these layered shirts would be cute with boyfriend jeans instead of a dress. I keep looks I love on my phone for reference. And when I see mixable pieces in retail or resale, bam! On sale and extra coupons. Always ask for a “better coupon than I have” at the counter. Chances are, they’ll hook you up.